Jack Landgraf won for the second straight year, and he helped pull some other young runners to fast times in Dana Point. Over 300 teams descended on Dana Point yesterday to run on one of the state's fastest 3 Mile courses, and we have 4000 performances in our database from the meet! 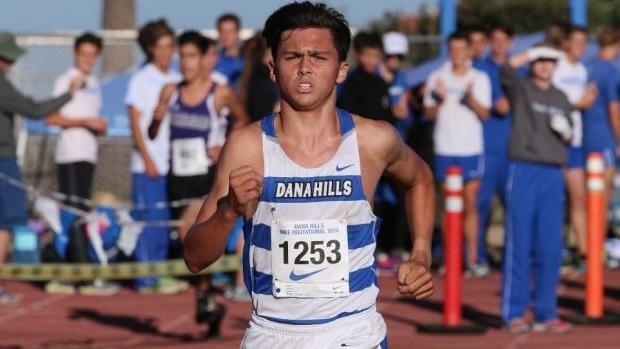 Unlike other sites, you don't have to look at fixed lists of merged results from a meet like the Dana Hills Invitational. With MileSplit, you can sort the results in many ways - by team, by section, by CIF division, by grade year, even by league! For a meet like this, which had teams sorted into 3 divisions as well as grade levels, that means you can look at the merged results in hundreds of different ways. Flip through the slides to see just a sampling of the different sorting methods we have, and you can click on the links in each slide to go to the full sortable merged results and make your own custom reports. Subscribers can access these rankings any time, and can perform more sophisticated merges with multiple meets together!